Almost two-thirds of people - 60% - in 26 countries say higher food and energy prices this year have affected them "a great deal", a BBC report has found. The BBC World Service global study said that while all nations had felt the burden of the higher costs, the problem was most acute in poorer countries. The Philippines was one of the worst hit of those nations questioned. Wine Food Pairing ...what goes with Turducken? Adventures and challenges of Wine Food Pairing. What, you ask, is a Turducken....and why would I want or need to do Wine Food Pairing with it? What, you ask, is a Turducken....and why would I want or need to do Wine Food Pairing with it? The answer to these questions is not for the faint of heart! About 4 years ago I was watching a Thanksgiving cooking show and perked up my ears when I heard something about stuffing your turkey with a duck and then stuffing the duck with a chicken…..hence Turducken. Holy Cow, my new Thanksgiving tradition was born! I really didn't get all the particulars, but I knew the internet wouldn't fail me, and it didn't…….I found several methods and recipes for putting this mouth watering treat on my table. The main focus for preparing this delight is de-boning everything….everything, that is, except for the turkey drumsticks which gives you a lovely presentation! Well, I can tell you that I had never done this before…. fortunately life has blessed me with an Austrian man in my life that seems to be able to do almost anything….including de-boning various fowl! The key to all of the preparation is to start very early in the morning and to begin drinking immediately XanGoSecco's! This refreshing beverage is champagne with mangosteen juice. YUM! OK, now that you are "fortified" you can begin with all the bone removal mess. In addition, prepare whatever stuffing you choose (and there are many!). We chose bread crumbs, mushrooms, onions, celery with some tasty herbs and then a sprinkling of cooking sherry between the birds. Did I mention that you must continue to sip your XanGoSecco's lest your courage fail you! This procedure really does require at least 2 people to stuff, hold and sprinkle. Our best time is 2 hours and 15 minutes, but we are looking to shave 5 minutes off that for next Thanksgiving by opening two bottles of champagne before we begin the prep. Now that the birds are de-boned, stuffed, sprinkled and sewn together….did I forget to mention the sewing part? You MUST remember to have your turkey needle and string ready to stitch those bad boys up or you will really have a mess! Next you pop the whole thing into a 225 degree oven for about 10 to 12 hours….give or take depending on the weight of the turducken. While we patiently wait for the "birth" of our meal, friends and neighbors begin to arrive…..Turducken's serve a lot of people so plan for a full house. My Austrian carved 1" slices and placed them on the platter…the aroma was mouthwatering and the presentation of the layered, marbled bird was second to none. We chose a Chilean Cabernet Sauvignon and a Pinot Grigio from Italy to pair with our meal….both were wonderful compliments to the poultry! Once again personal tastes enter in to your choices. As I always say, Wine Food Pairing is an adventure and a challenge that you need to meet head on…. so, go forth brandishing your carving knife, be brave and tackle a turducken for your next Thanksgiving dinner! CHEERS! 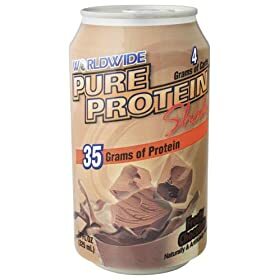 Drink 1 shake as a protein dietary supplement, preferably after workout, or it can be used anytime as a nutritional supplement. Shake well. 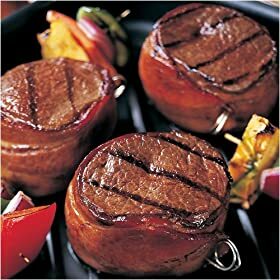 (FoodDrinkOnline) Omaha Steaks Bacon-Wrapped Filet of Top Sirloin, (6) 5 Ounce - Join the bold, beefy flavor of Omaha Steaks Top Sirloins and the mouth-watering flavor of bacon and you've got a sizzling steak sensation. Our Top Sirloins have been completely trimmed and wrapped with a thick slice of bacon for a tantalizing taste treat you won't soon forget. 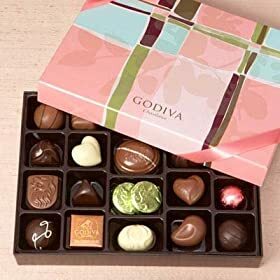 Food&Drink-Godiva Chocolate: 27 pc. Summertime Gift Box - Deep dark chocolate, smooth milk chocolate, and delicate white chocolate, including our signature pralines, caramels, ganaches, fruits, nuts and more. Tied with a pink ribbon. Kosher OU-D.
FoodDO-Thinking Of You - Family and friends will welcome the arrival of this enticing gift basket. Ghirardelli milk chocolate, Italian tiramisu chocolate, Ghirardelli Citrus sunset dark chocolate with orange and caramel crunch, sesame crackers, merlot cheddar cheese spread and cheese knife, caramel cookies, Brown & Haley cashew and peanut roca butter crunch toffee, Lindt dark and milk chocolate truffles, English tea and Jacobsen's butter cookies are beautifully displayed in this golden arrangement. 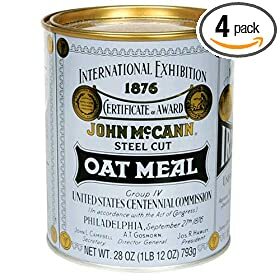 Gift Size: 15 x 12" x 7" Item 598"
FoodDO-McCann's Steel Cut Oatmeal, Traditional, 28-Ounce Tins (Pack of 4) - Mccanns Traditional Oatmeal (Tin), 28 Ounce Unit. Eating will never go out of fashion. We will always need a place in the home where we can easily and safely prepare our food. We call that place the kitchen. Here are a few tips to help make your kitchen a better, safer and more efficient place to work in. 1. Lighting is probably the most important thing to get right. Strip or spotlights located under wall units work best to provide good, unobtrusive lighting. 2. Hard wearing flooring that's easy to clean is another essential. Carpeting on floors surrounding kitchen worktops is a big mistake. 3. Electric sockets in abundance will make life so much easier. But remember to keep them at least a metre from any source of water. 4. Have all your regularly used utensils stored close to the areas where they will be used. This increases efficiency and reduces accidents. 5. Choose the type of kitchen sink that's best suited for you. They come in all shapes, double or single, and in a variety of materials. Think before you buy. 6. The type of taps on your sink is important too. Get taps with plenty of height. The swivelling type adds flexibility, but you may prefer the look of double taps. Again, think about what you want. 7. Keep children out of your kitchen. Toddlers have greater ingenuity than you give them credit for. Fit any cupboard or drawer they can reach with childproof catches. Store all sharp objects, knives, etc, high up in a locked drawer. Using proper food storage is very important to your health and your family’s health. It is up to you to provide proper storage solutions for every type of food that comes into your home. This is no easy task. If you plan to store large amounts of food, you need to have the room. It is also important to realize that foods go bad quite easily and quickly. Taking the time to find the right solution to your food storage needs can even help you save money. But, you can also package them to keep them lasting longer. For example, fresh produce such as vegetables and fruits can be canned or purchased and placed into a vacuum sealing to keep them fresh much longer. For meats, it is important to use them within their date or to freeze them. You should freeze them properly without defrosting them more than once to use. You can also use a vacuum sealer to do this work as well. One of the biggest problems that many have when it comes to food storage is that it is hard to find enough room in our kitchen cabinets for the products that we purchase. In order to have enough room, you can think outside the box. Using your fridge and freezer effectively is one thing. You can store canned goods in boxes in a cool location as well. You can add bins or containers to your kitchen as well. Using proper food storage means keeping everyone happy and healthy! Chop, chop, chop! No kitchen is complete without a set of cutlery. When it comes to cutlery for your kitchen, you have lots of choices. But the most important thing to have is a Chef’s knife. A high quality chef’s knife will cost you at least $50, but plan on spending $75. All that chopping is bound to cause some damage. Next you will want a cutting board. Like cutlery, there are many choices but if you want the board to last, you’ll want to keep a few things in mind. Cutting boards come in an over the sink style and a style that you sit on your counter. You’ll also want to consider the size. Think about the size of your kitchen and the storage issue. Also consider the size of your sink because you are going to empty your scraps in there. There is quite a debate about whether a wood or plastic cutting board is best. Keep in mind wooden cutting boards will have knife marks in them eventually. On the other hand, plastic cutting boards will dull your knife quickly. And whether you choose a wooden or plastic knife you will eventually need a knife sharpener. When you become a gourmet pro, there are other tools you might consider purchasing. Now that you’ve done all that chopping, you need somewhere to put the ingredients. There are many different kinds of cookware. Chef’s pans are a great thing to buy in a set. Though it can get expensive, you’ll actually save more money by buying a set of chef’s pans as opposed to buying it piece by piece. But perhaps you don’t want a set of pans. The one must-have is a sauté pan. What is a sauté pan? It is a pan with a wide flat bottom, straight sides, long handle and a lid. Sauté pans come in a variety of sizes. If you want versatility, choose a medium-sized pan. Did you know that a soup pot is not just for soup? You can make pasta, meats and stocks as well. A soup pot, also known as a stock or cook pot is one of the most versatile things you can add to your kitchen. Like sauté pans, soup pots come in a variety of sizes. When you are ready to take your gourmet kitchen to the outdoors, you have a few choices. You can purchase a natural gas grill, a charcoal grill or a propane grill.